Delete Account Link Facebook: Although Facebook is fun, but sometimes you realize you don’t even have control over your account as your timeline is flooded by political talks, meaningless posts and videos posted by certain individuals which instantly auto play and mine out your data or serves as distractions and you think it’s time to relieve yourself from this stress and instantly get out of the platform, well before we reveal the Delete account link for Facebook, we will give you the option to block the user that disturbs your timeline, to do that read our previous guide on HOW TO BLOCK A FACEBOOK USER. 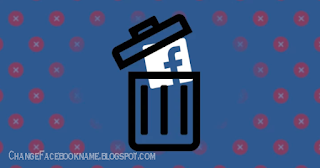 Facebook gives you two options when it comes to attempting to get rid of your account from the platform, you either deactivate or completely remove your account with the Facebook delete account link. For differences between Deactivating account and deleting account, read our guide on DEACTIVATING AND DELETING YOUR ACCOUNT. Click General to the left of the settings page and click Edit next to "Manage Account"
Scroll down and you'll see a "Deactivate My Account" link at the bottom. From your account go to settings > Account settings > General > Manage Account > Deactivate. 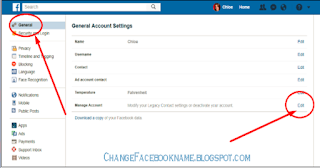 To totally remove your account from the Facebook platform forever, follow this direct link at https://www.facebook.com/help/delete_account. 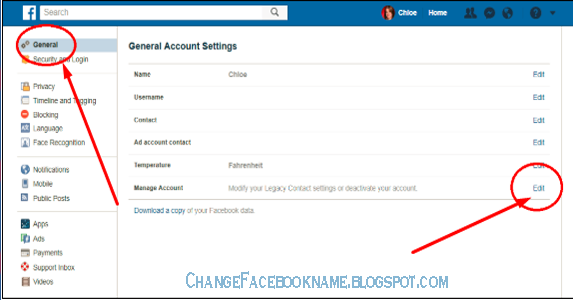 and simply follow the steps to say bye-bye to Facebook!